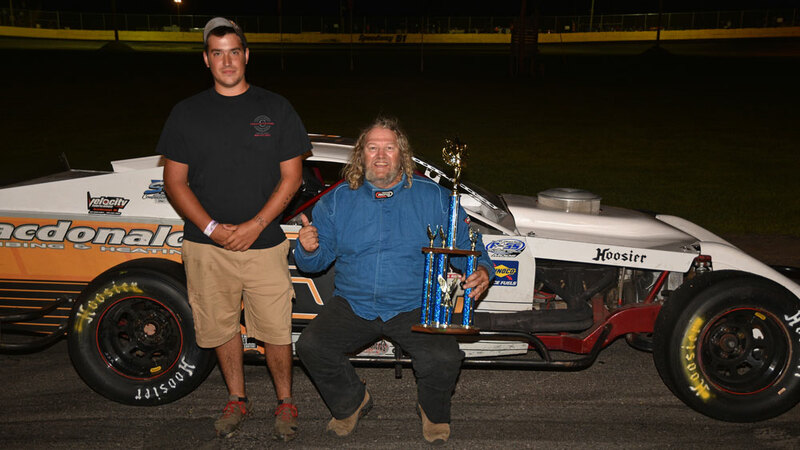 and Bill Dixon #33, 2nd. 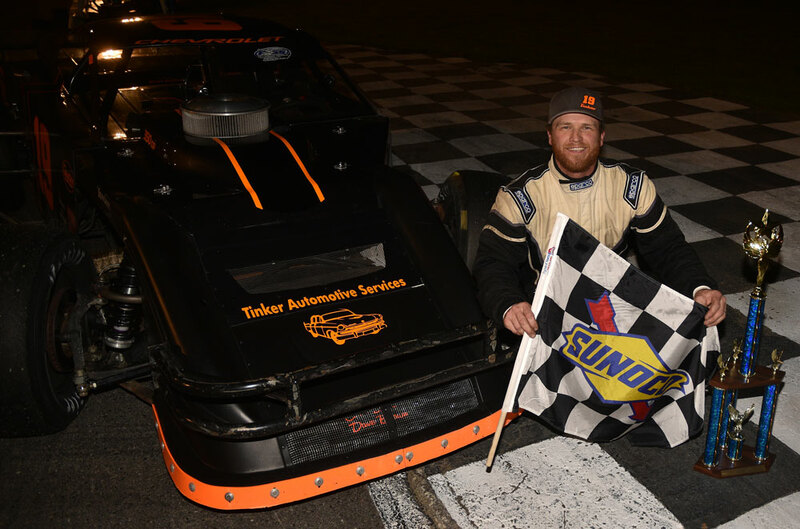 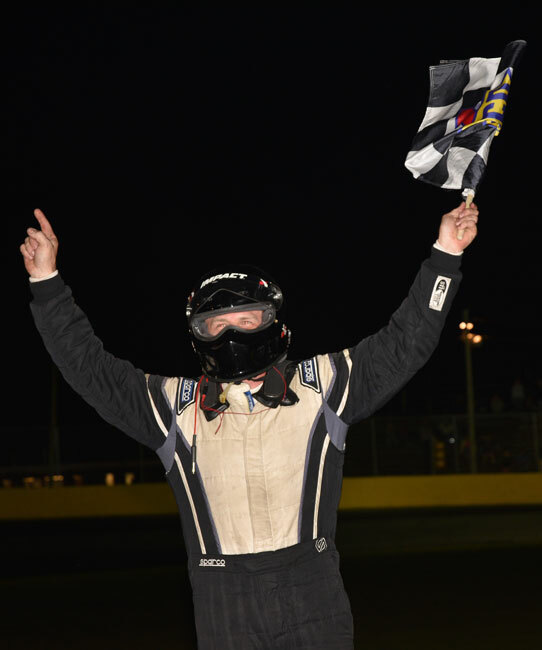 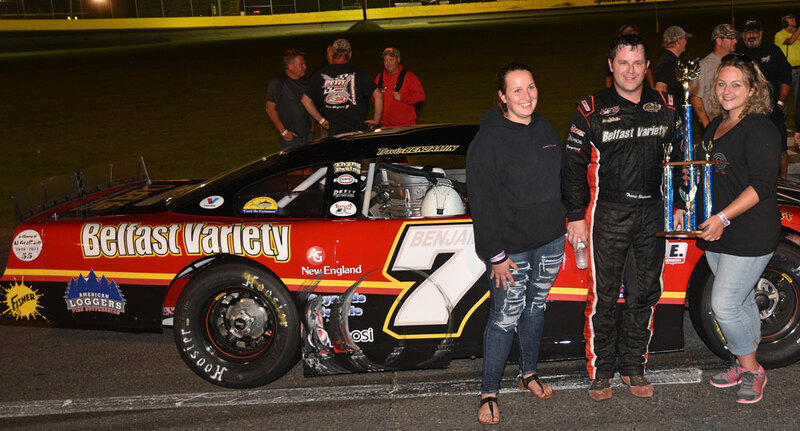 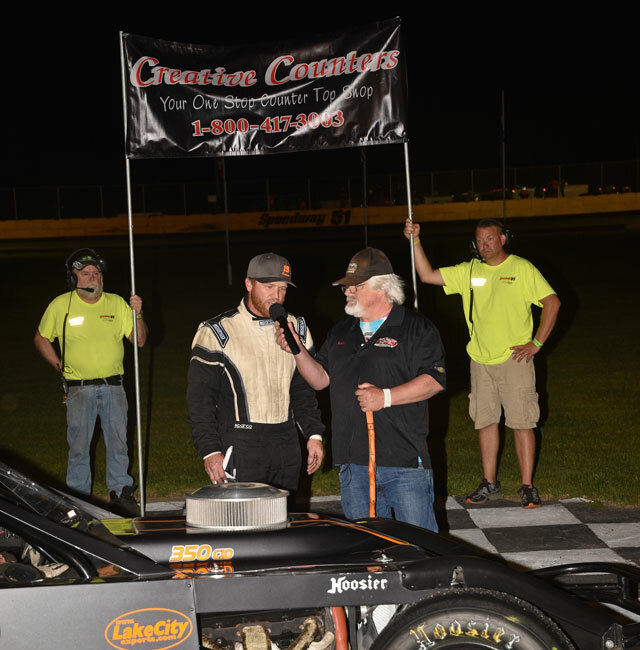 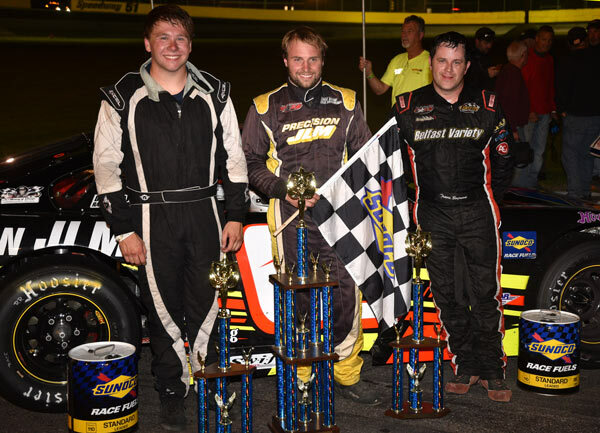 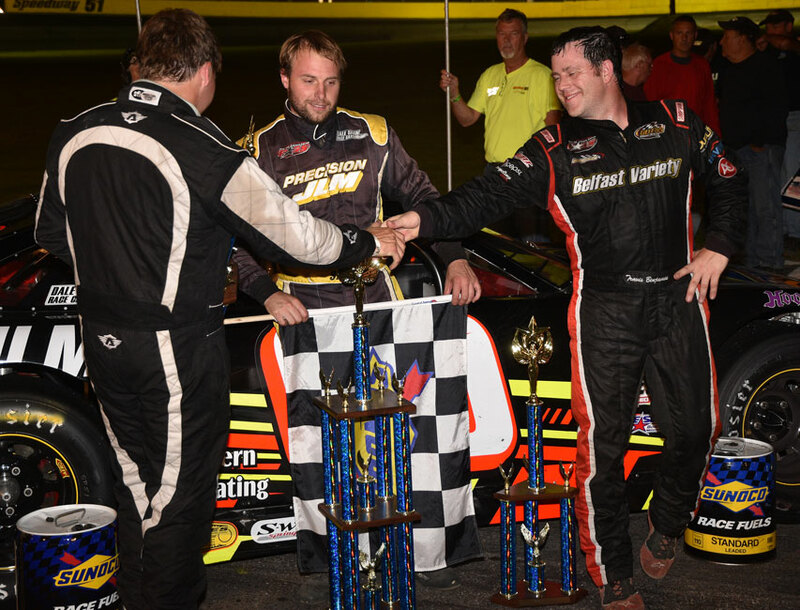 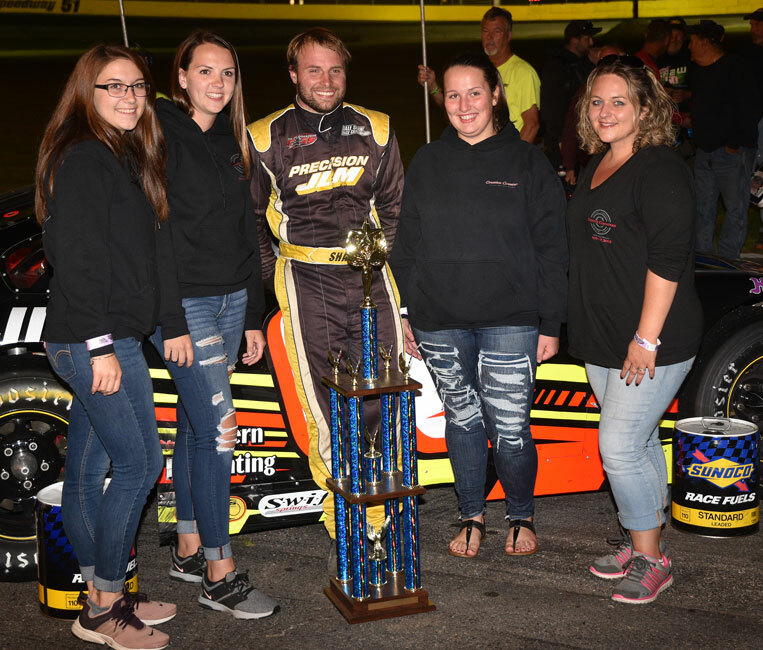 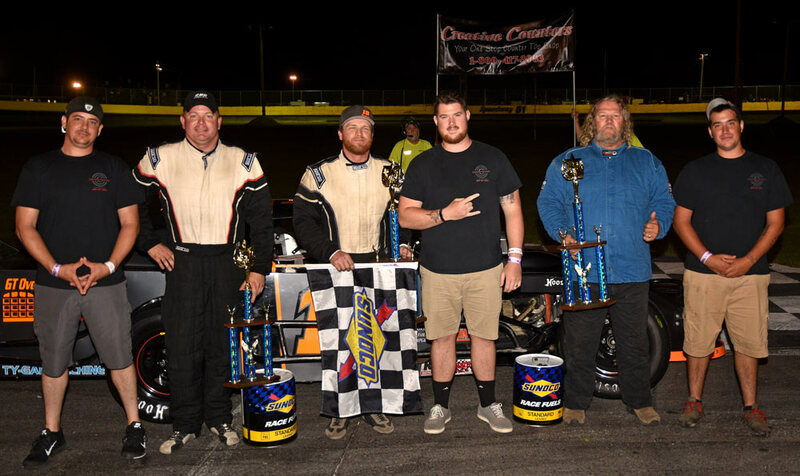 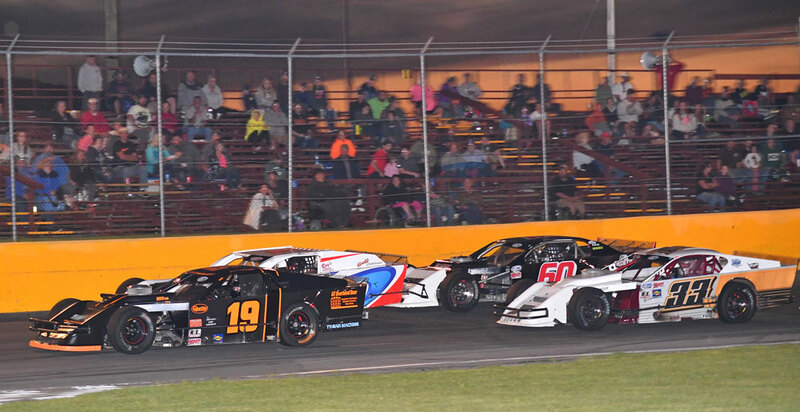 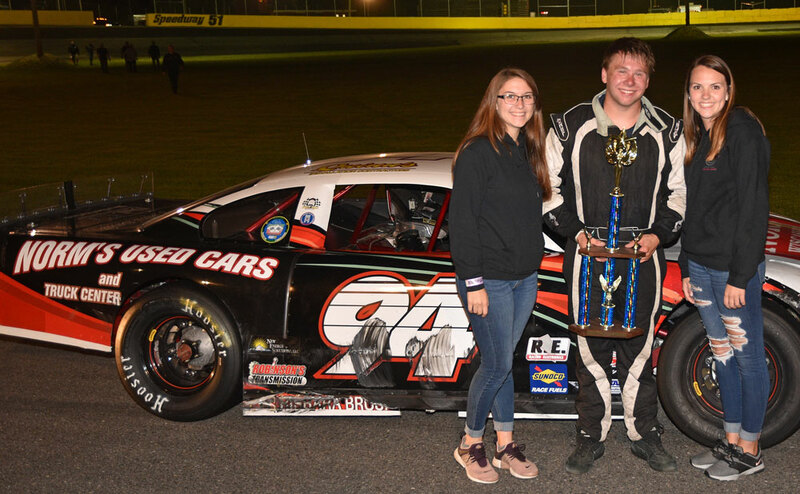 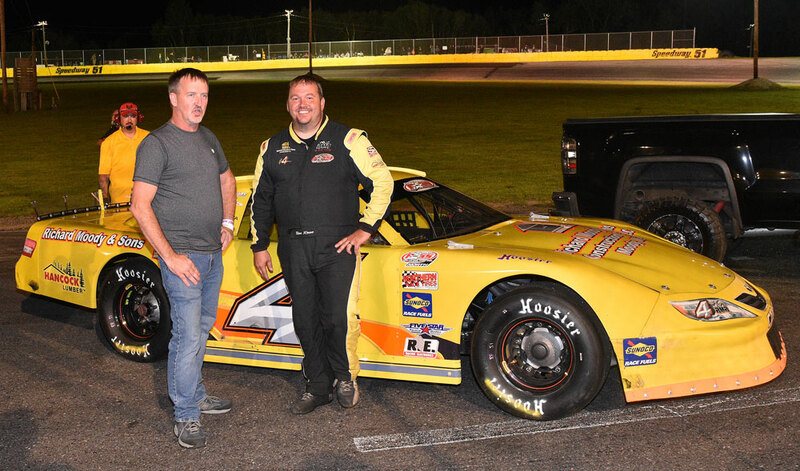 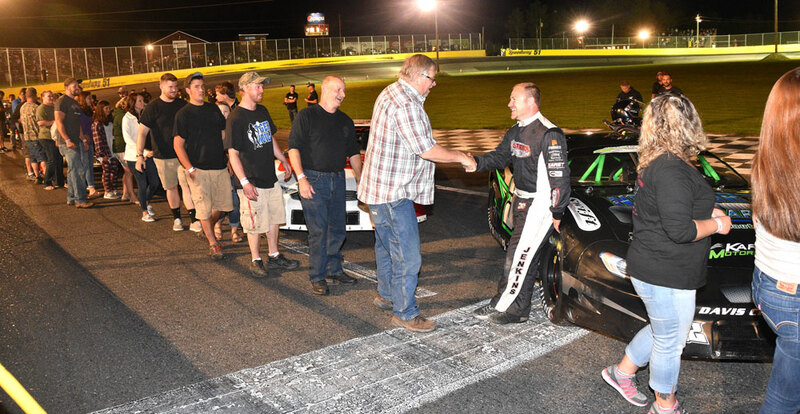 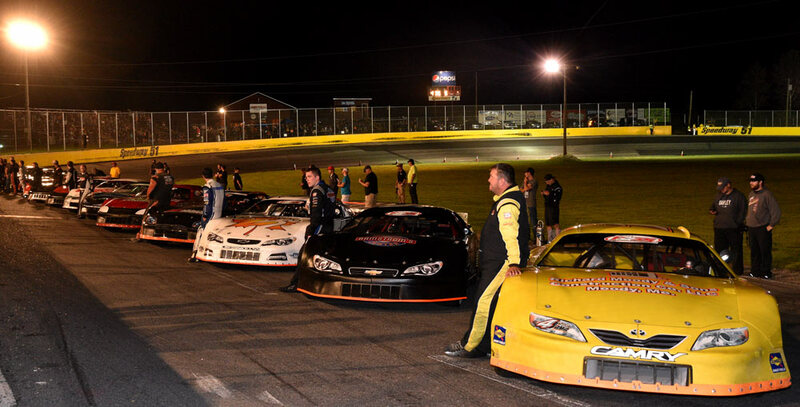 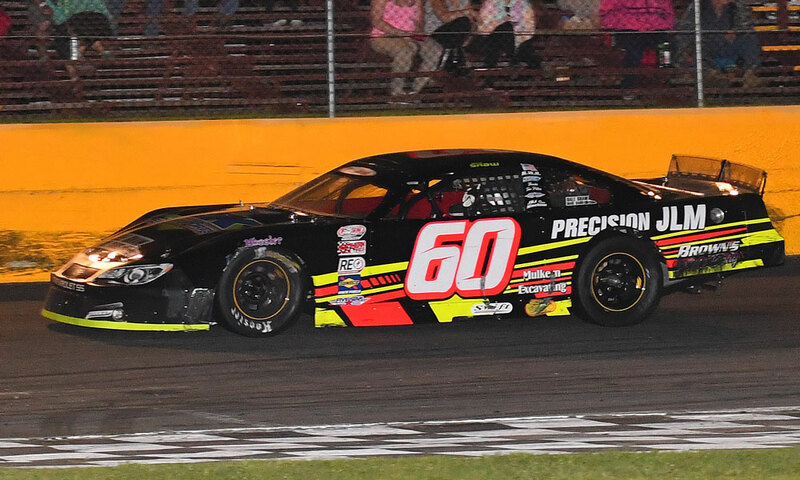 Groveton, NH - DJ Shaw of Center Conway, New Hampshire raced to his second Pro All Stars Series North Super Late Model victory of the season Saturday night in the Creative Counters 151 at Speedway 51 in Groveton, New Hampshire. 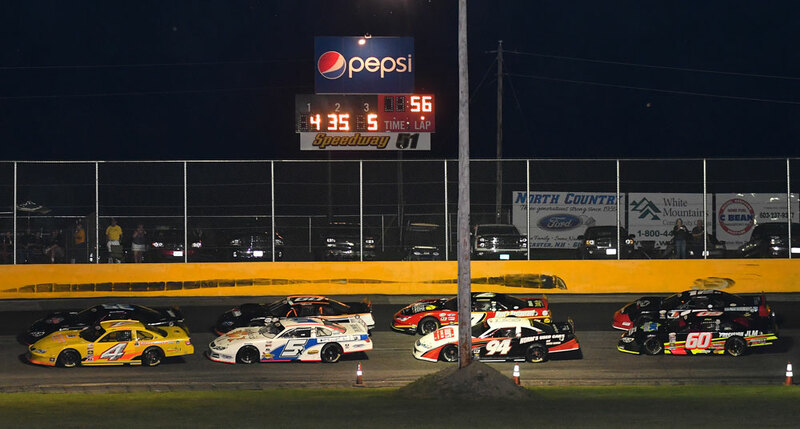 Hinesburg, Vermont's Bobby Therrien battled back into sixth position after running afoul of officials when adjudged to have jumped a restart twice in the middle portion of the race while trying to fend off four-time series champion Ben Rowe of Turner, Maine. 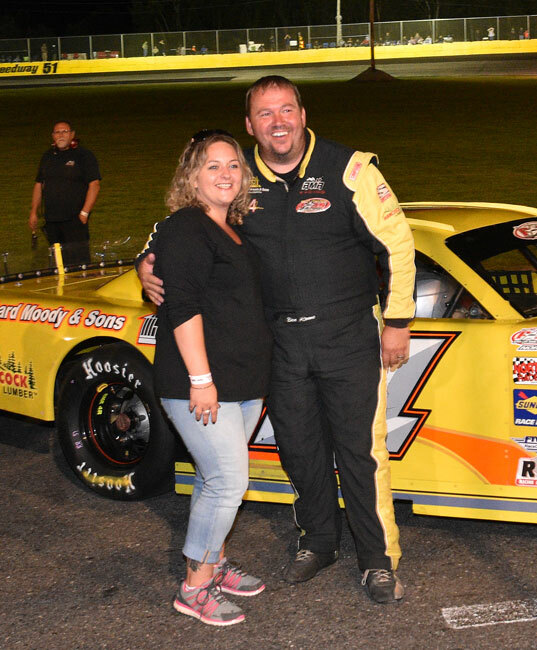 Rowe ended up eighth, behind Tamworth, New Hampshire's Jeremy Davis. 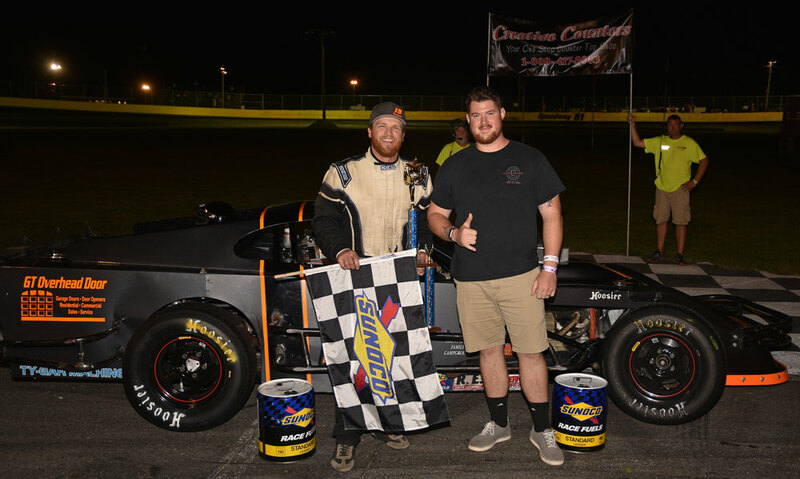 Kyle Welch of Lempster and Whitefield's Sammy Gooden rounded out the top ten. 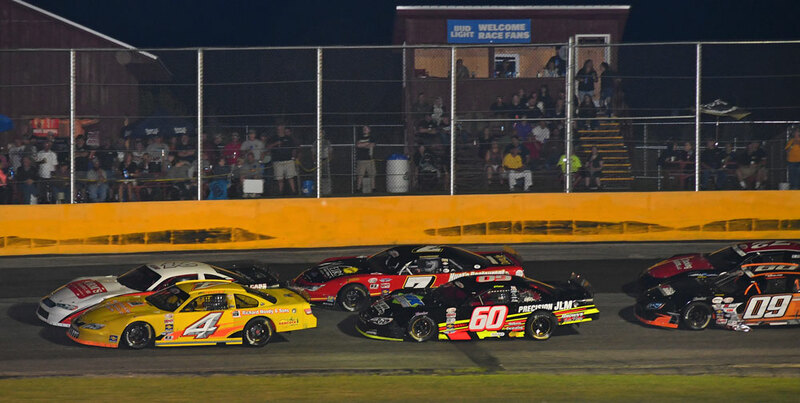 Pro All Stars Series North Super Late Model (151 laps) 1 60 DJ Shaw, Center Conway, NH; 2 7 Travis Benjamin, Belfast, ME; 3 94 Garrett Hall, Scarborough, ME; 4 35 Derek Ramstrom, Worcester, MA; 5 12 Derek Griffith, Hudson, NH; 6 5x Bobby Therrien, Hinesburg, VT; 7 09 Jeremy Davis, Tamworth, NH; 8 4 Ben Rowe, Turner, ME; 9 9 Kyle Welch, Lempster, NH; 10 01 Sammy Gooden, Whitefield, NH; 11 24 Nick Patnode, Swanzey, NH; 12 72 Guy Caron, Claremont, NH; 13 32 Nick Jenkins, Brownville, ME. 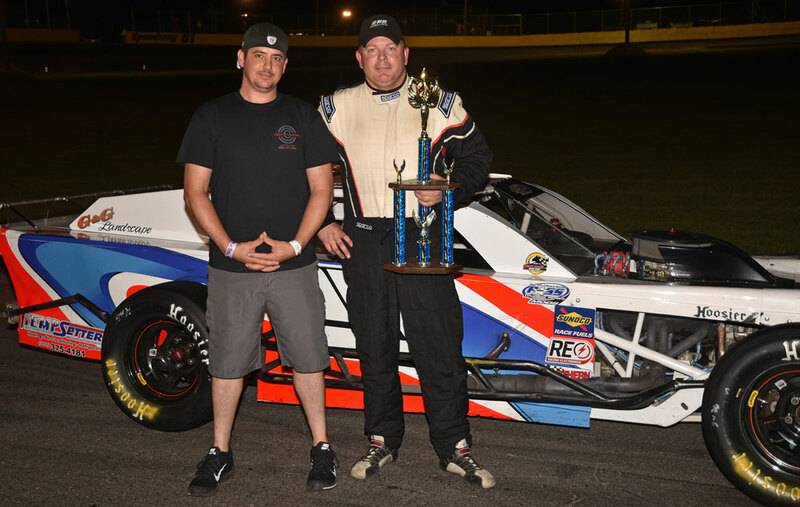 PASS Mods (40 laps) 1 19 Ben Tinker, New Gloucester, ME; 2 33 Billy Dixon, Waterboro, ME; 3 25 Bruce Helmuth, Wales, ME; 4 60 Gary Shackford, Center Conway, NH; 5 85 Jariet Harrison, Freeport, ME; 6 2 Randy Sanborn, West Baldwin, ME; 7 34 Spencer Morse, Waterford, ME; 8 10 Kate Re, Lovell, ME.